1. They are sometimes referred to as American house plans or American style floor plans. 2. 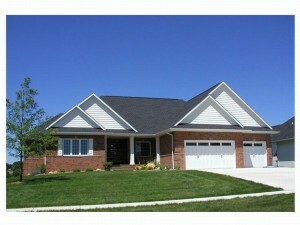 Traditional house plans are available as Ranch house plans and Two-Story homes. 3. The exterior and floor plan of these designs incorporate a unique mix of architectural styles and features from styles throughout history. 4. Simple rooflines, covered entries and at least one front facing gable are characteristic of most traditional style houses. 5. There are no specific guidelines regarding the size and shape of these houses. They can range from a simple starter home to an expansive luxurious residence filled with state-of-the-art amenities. 6. The exteriors of traditional house plans are warm and inviting while the interiors offer practical features and layouts suiting the needs of a broad range of homebuyers and builders. 7. Traditional floor plans blend familiar features with modern and up-to-date elements while satisfying the requirements of everyday living. 8. Functionality is key. Open floor plans with the kitchen overlooking the family room or great room creates a functional and central gathering area. A meal prep island and walk-in pantry are practical kitchen features than lend functionality and efficiency. 9. American homes plans often include convenient elements such as a home office for the work-at-home-parent or built-in cabinets in the family room. 10. Traditional floor plans are available with a variety of foundations including basement, walkout basement, crawl space and slab foundations. No matter what size or what features a traditional home design includes, one thing is certain, they deliver comfortable and functional living for today’s busy lifestyles. Browse The House Plan Shop’s collection of Traditional house plans.